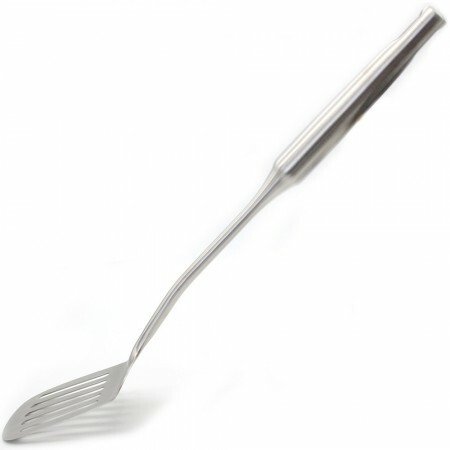 A long-handled spatula made from 304 grade stainless steel. 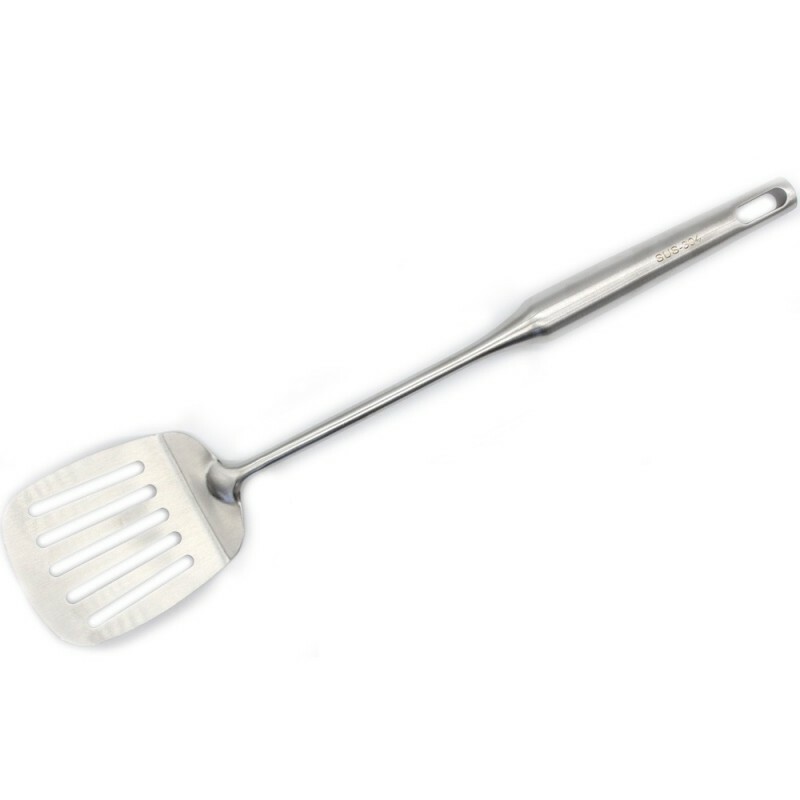 Featuring a slightly rounded edge and traditional slotted design, this hard wearing spatula will last years and can be fully recycled at end of life. Perfect for on the BBQ and with your stainless steel pans. Long lasting material and 100% recyclable at end of life. 39.5 long x 8cm (at widest point). 100% 304 grade stainless steel. We wanted a spatula that would not break after a few months. This one will last forever. Great quality/ plastic-free/ zero waste product.